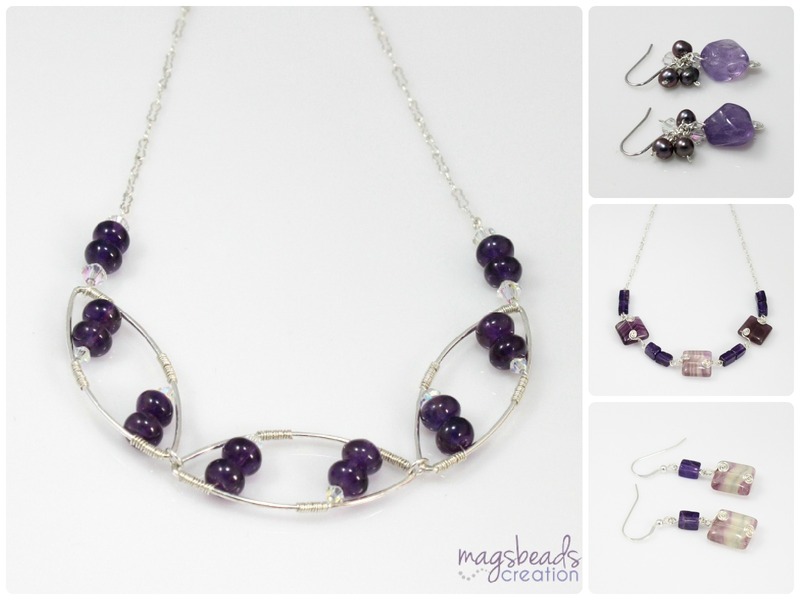 Features amethyst gemstones, the color combination of this latest collection is mainly shades of purple. A mixture of amethyst withdark peacock color freshwater pearls or playful rainbow fluorite added a touch of elegance to the collection. For your information, the gemstone amethyst is the birthstone for February.